After worldwide outrage at the disturbing disappearance of a Saudi journalist inside the Saudi consulate in Istanbul, the spotlight is back on a country with a history of suppressing human rights and civil society. Jamal Khashoggi, a recent resident of Virginia and a writer for the Washington Post, was last seen October 2nd when he visited the consulate to acquire paperwork for his upcoming marriage. Turkish officials claim he was murdered and are pointing to top Saudi leaders behind the plot, although the investigation is still ongoing. In the US, a bipartisan group of senators called for President Donald Trump to enact sanctions against Saudi Arabia for human rights violations if the Saudi government is found to be at fault, according a Time report last week. World leaders initially praised Crown Prince Mohammed bin Salman when he announced a liberalization plan after taking power in 2017. He lifted the ban on female drivers this summer and seemed to be charting a more Western course for the middle eastern country. However, Saudi Arabia is still one of the last surviving absolute monarchies in the world, as Saudi activist Manal al-Sharif put it recently, and the disappearance of Khashoggi has put the spotlight back on Prince Salman and his government. The power of self-imposed exile is that you can finally write openly without fear of prosecution. Little did we know that safety was still not guaranteed, that it could lead to a disappearance. Official statements in state media accused Loujain al-Hathloul, Iman al-Nafjan, and Aziza al-Youssef of forming a “cell,” posing a threat to state security for their “contact with foreign entities with the aim of undermining the country’s stability and social fabric.” A related hashtag describing them as “Agents of Embassies,” along with a graphic showing the six activists’ faces, have also been circulating on social media and Saudi Arabian print and broadcast media. Amnesty International is concerned that if charged, the activists could face up to 20 years in prison. 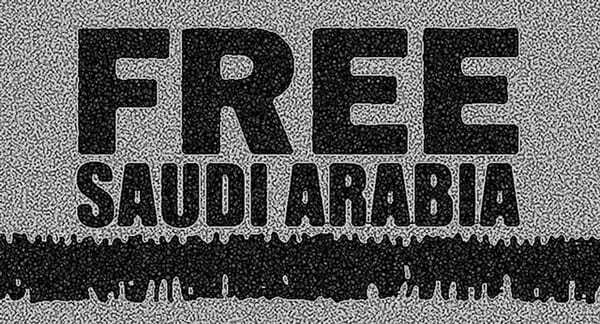 Now is the time to take action and defend these brave activists, who are some of the most prominent heroines of the human rights movement in Saudi Arabia. The prince’s father, King Salman, ruled out public support for Mr. Kushner’s peace plan after Mr. Trump’s decision to recognize Jerusalem as the capital of Israel—a move that alienated the Palestinians. As racial hatred and bloody conflicts convulse the world where liberal democracy was expected to win the day, where does that leave civil society?